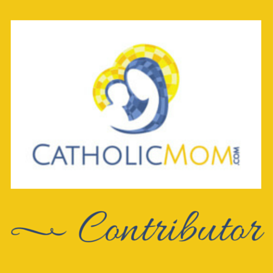 Life of a Catholic Librarian: Spring concerts and a Mother's Day rosary giveaway! Spring concerts and a Mother's Day rosary giveaway! 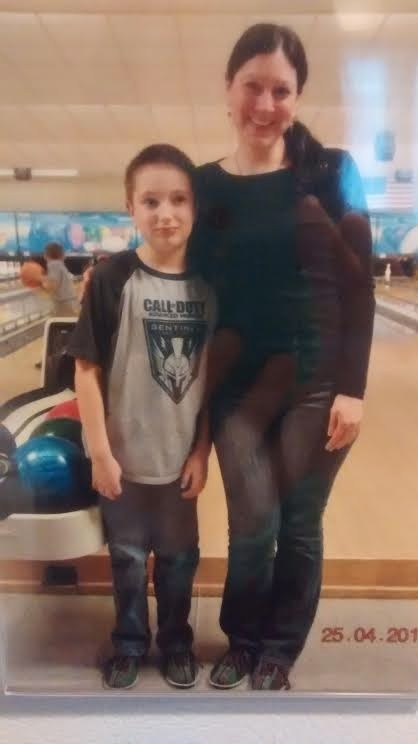 That's me and my Henry, at our mother/son bowling gig last weekend. Terrible photo quality, I know, but we only got a print, so I didn't have a lot to work with. ;-) And Henry's body language is just priceless, is it not? "I'm only posing for this picture because they are making me." "They" being the Organizer Lady taking all of the photos, and Me squeezing him to my side. He genuinely seemed to enjoy bowling with me, he's just so shy about being photographed or generally doing anything in front of other people. The apple doesn't fall far from the tree...although I *have* gotten better about this as an adult, I suppose, given that I belly dance in public on a regular basis. But as a kid? Just like Henry. He reminds me a lot of myself as a child. That certainly applied yesterday evening too as we headed out to the spring concert at his school. It was held in the church, I love that, as the school doesn't have an auditorium, and Henry looked all nervous and cute in his dress clothes. When his class passed by on their way to perform, he squirted past as fast as his legs could carry him, God forbid he should make eye contact. :0 He's very precious. And I have to say, his class sounded GREAT. They played their recorders, and I was seriously impressed with the new music teacher. He was very warm and friendly with the kids, but had an excellent command of their attention with his direction. And there was NO squeaking of the recorders. In past concerts, that has not been the case. ;-) They did a fantastic job. When we left the church, a spring rain was falling, and it felt rather idyllic. In just over a year, we'll have two concerts to attend each year, since Anne will be in school, and she will perform in a separate concert from Henry given that they're grouped by age. So we'll attend both the Christmas and the spring concerts. Sweet! Anne, by the way, acquired an admirer during the course of the concert. A 2-year old little boy in our pew really took a shine to her, and kept coming over and handing her hymnals with a very serious and devoted expression on his face. Adorable. In other news, with Mother's Day approaching, a quick and applicable giveaway to bring to your attention! Allison, one of my very favorite rosary artisans, is hosting a giveaway at her blog of a custom Swarovski pocket rosary. Head over to enter for yourself or your mom!